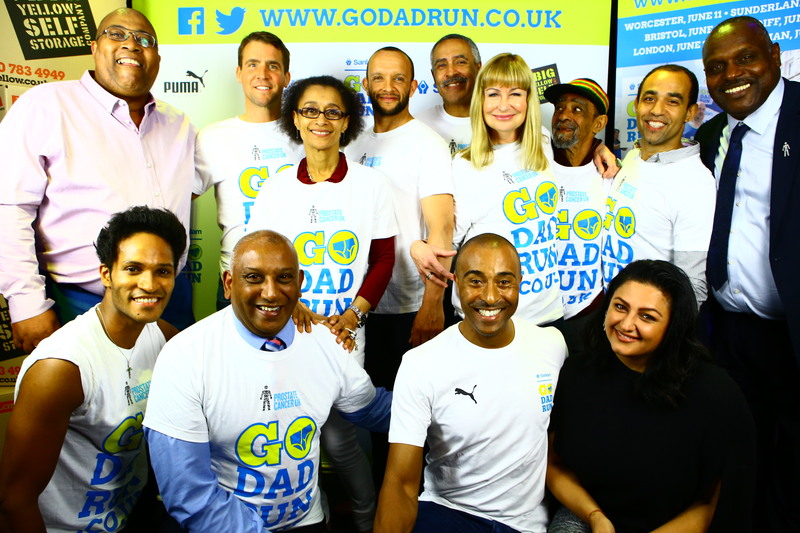 Former world champion athlete Colin Jackson was joined by an impressive line up of fellow Olympic medalists when he launched his 4th Sanlam Go Dad Run tonight. Go Dad Run is a series of 5K and 10K runs for men and boys that take place around the UK to raise awareness of and funds for Prostate Cancer UK and for a third successive year Go Dad Run in Cardiff will take place in Bute Park on the morning of Father’s Day, Sunday June 19th when Colin, Jamie Baulch and Sian Lloyd will be on hand to set the runners off. Colin, winner of a silver medal in the 110m hurdles at the 1988 Olympic Games, chaired a special panel who shared their memories and offered tips ahead of Rio and which included diver Leon Taylor, 400m specialist Jamie Baulch and the legendary decathlete Daley Thompson. The event, at the Grange, St Paul’s Hotel in London was also attended by many other Go Dad Run ambassadors including presenter Sian Lloyd, Colin’s actress sister Suzanne Packer, singer-songwriter Dan Olsen and Royal Ballet Soloist and ‘Dancing with the Stars’ judge Fernando Montano. 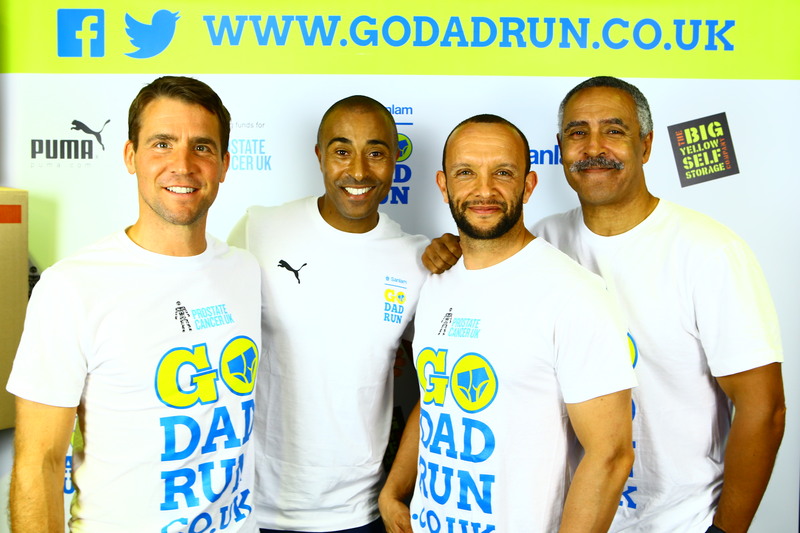 Go Dad Run was created four years ago by Colin after two of his uncles developed the illness and only Tony, who talked about his problems and sought treatment, survived. 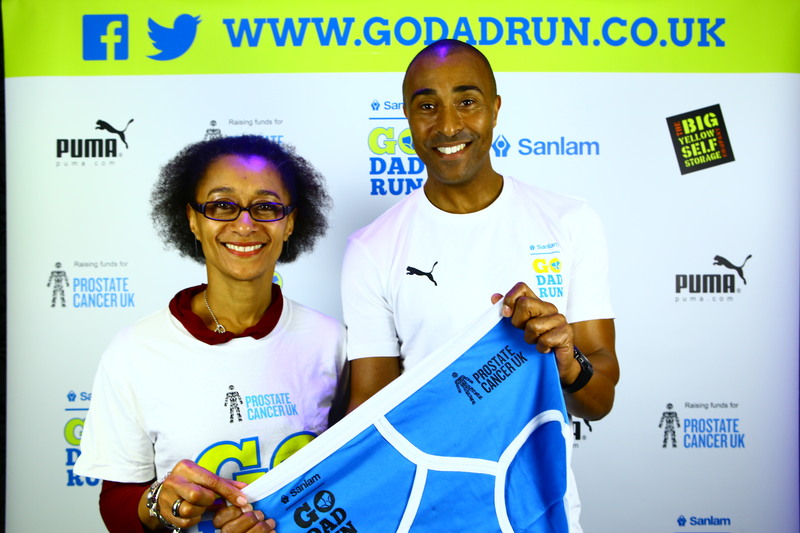 When he discovered that 1 in 8 men in the UK will get prostate cancer, and it affects 1 in 4 men from an African-Caribbean background, Colin decided to try and do something about it and founded Go Dad Run with a small pilot event in Wales in 2013 and he was delighted with the way the launch went tonight. “It has been a terrific evening and wonderful to see some Olympic legends supporting us tonight and meeting many of our runners who are living with prostate cancer. We’ve also heard some inspirational stories from men such as Errol McKellar and Alfred Samuels who are sharing their own prostate cancer experiences on our website in order to help others, and I was especially pleased that my uncle Tony was able to be with us as well. All of us on the panel faced big challenges as we sought to achieve our sporting and Olympic goals but they were nothing compared to those that men with prostate cancer face ever day. My big ambition for Go Dad Run is not just that we raise money for Prostate Cancer UK, but that we also get men thinking and talking about their health and especially to start understanding how devasting prostate cancer can be and why they should learn about the risk groups, symptoms and PSA tests. The project is now growing steadily and this year there are 6 events around the UK in Bristol, Sunderland, Cardiff, Worcester, London and the Isle of Man during June. As part of their entry fee the registered runners in the 5K and 10K will all receive chip timing, a PUMA t-shirt, Big Yellow Bag, a medal and a pair of big blue Y-fronts to wear over their shorts as they run and Colin is hoping to get a great atmosphere and lots of men along on the day. 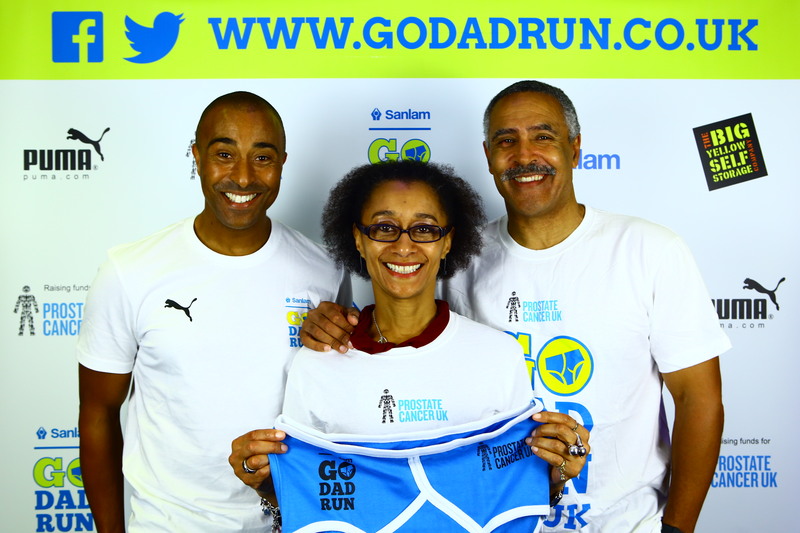 Full details about Go Dad Run and how to get involved can be found at www.godadrun.co.uk and there are regular updates on facebook and twitter.